Learn new skills and find inspiration for your home and garden at our new adult workshops. Macrame is back! The retro art of tying cords into patterns has become the home decor trend of the moment. We will be running two Macrame Workshops in May, to teach attendees the decorative skill of macramé knotting. Led by our in-house experts, the workshops will teach the basics of macramé, including what materials to use and how to do basic macramé knots. 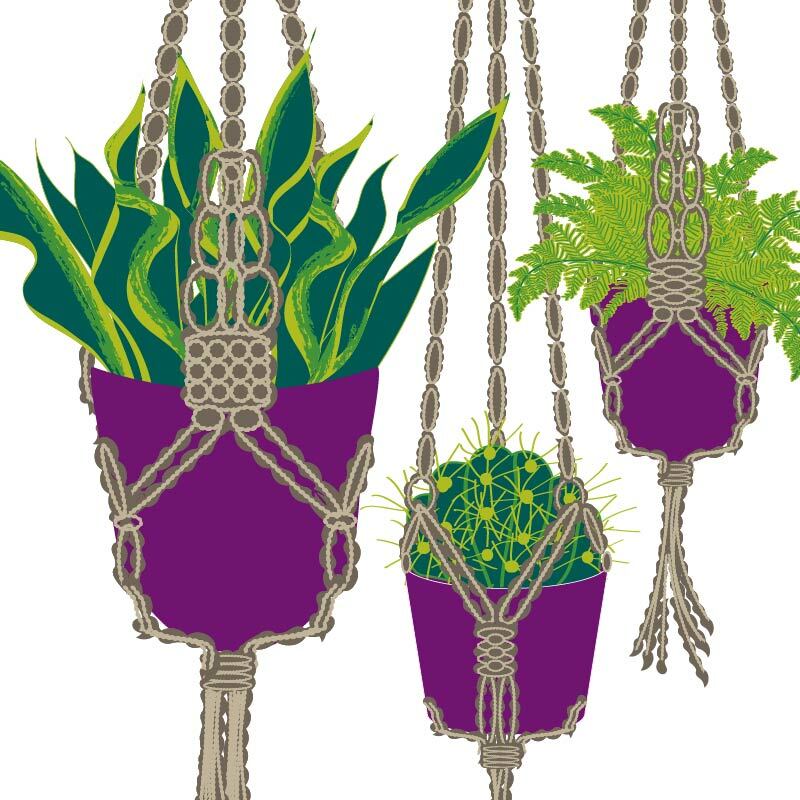 You will then combine different knots and techniques to create your very own stylish plant hanger. Tickets cost £30 and includes all materials, a houseplant for your hanger and a glass of prosecco. With terrariums becoming the must-have in terms of indoor gardening, we invite you to attend one of our practical hands-on workshops to make your very own terrarium. Guided by our in-house staff, the workshops will begin with a discussion on how terrariums act as a miniature eco-system before focusing on how to care for the plants inside them. You will then learn techniques, tips and ideas to create and assemble your own unique terrarium to take away to either display at home or as a gift for someone special. Plants, materials, tools and a glass cylinder vessel will be provided - just bring your imagination! Tickets cost £30 and include a glass of prosecco. Workshop places are limited and booking is essential. 18:00 Macrame Workshop - Gravesend SOLD OUT!